Poteryaevka village, Altai Oblast. 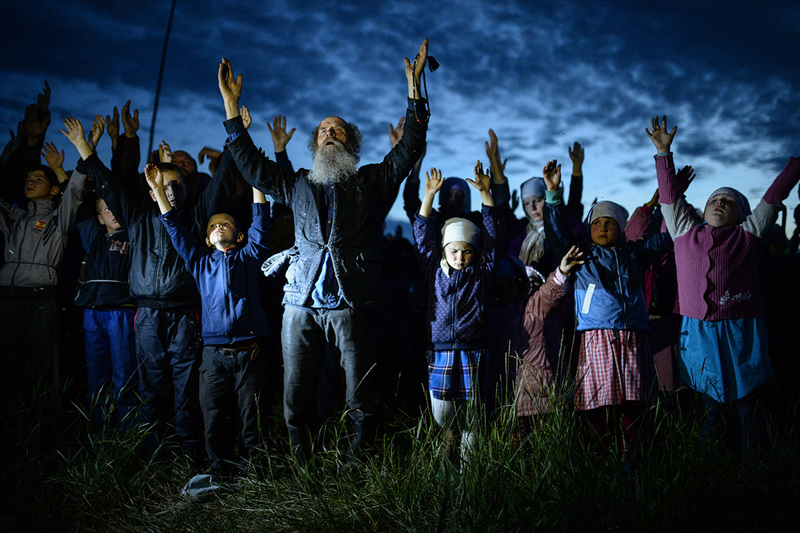 Evening prayer in the Orthodox community. Sevastopol. 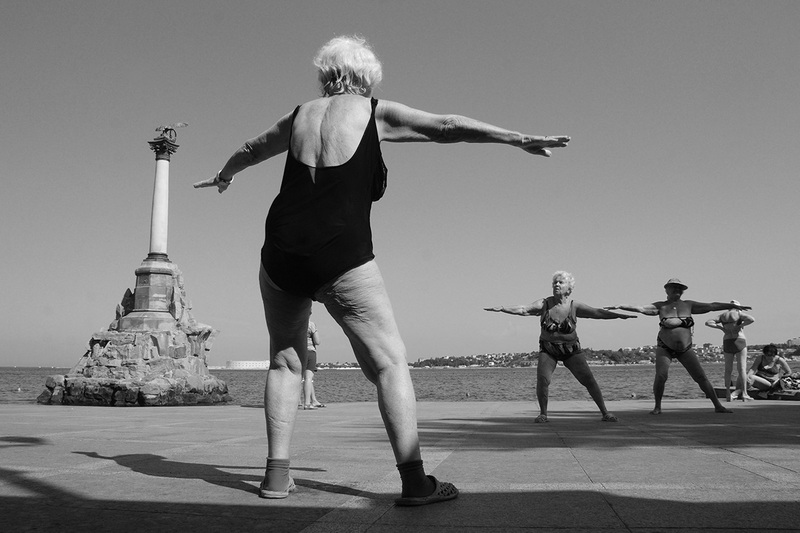 Women aged 80-95 years gather on the embankment every summer morning for a workout. Bichura village, Buryat Republic. Local inhabitant Polikarp Sudomoikin became famous 10 years ago. After retirement, he started painting and making icons. His main muse is his wife (pictured). Shirinye village, Yaroslav Oblast. 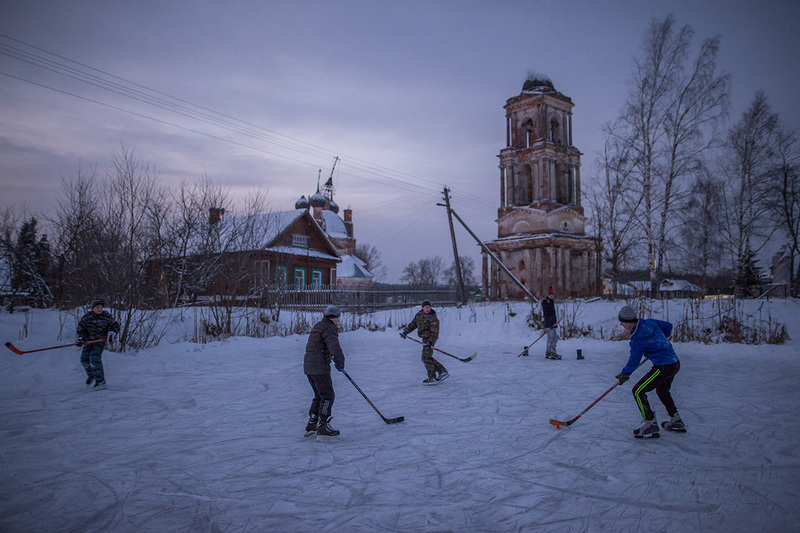 Schoolchildren playing hockey in the yard. 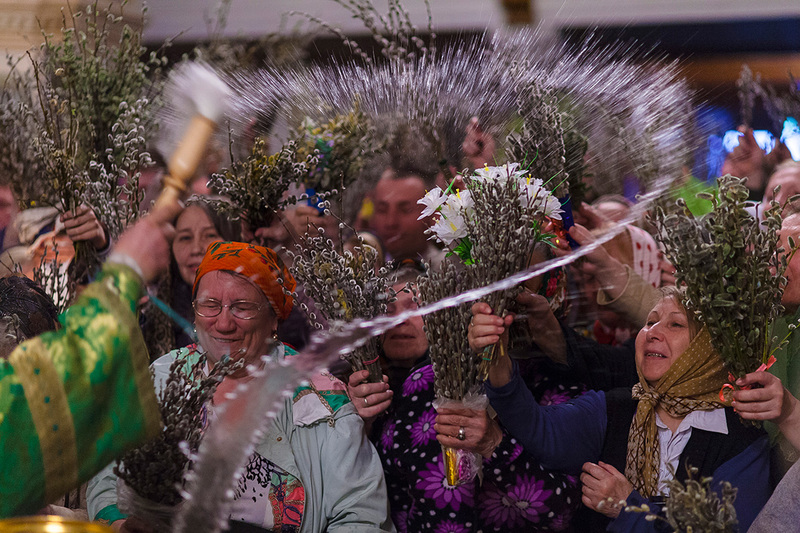 Palm Sunday in a church in Tyumen. 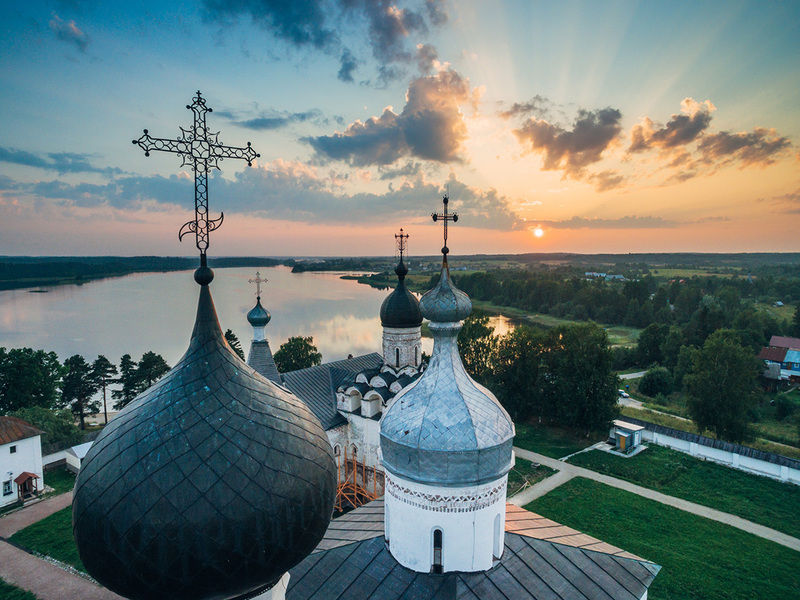 Holy Transfiguration Сathedral in Uglich. Great beauty on a small scale. Celebrating the town’s official day. A lake of white cranes. Khinganski Nature Reserve in the Far East of Russia. 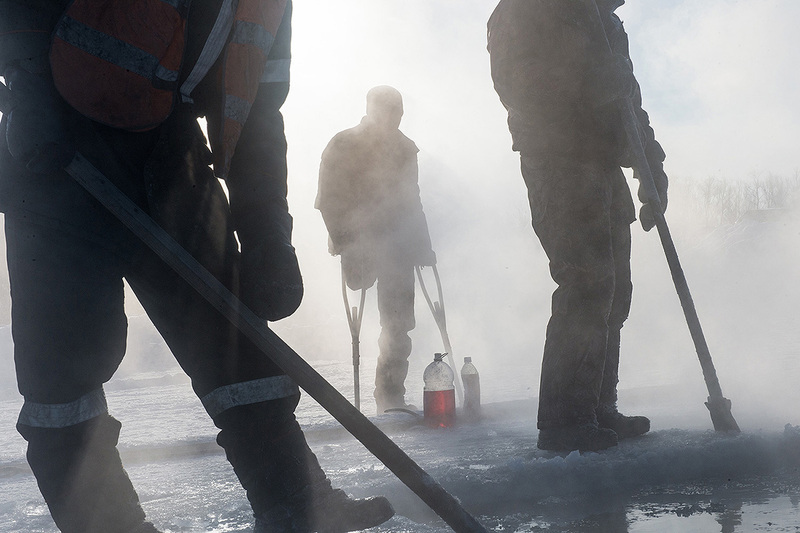 Workers are training cranes before releasing them into the wild. 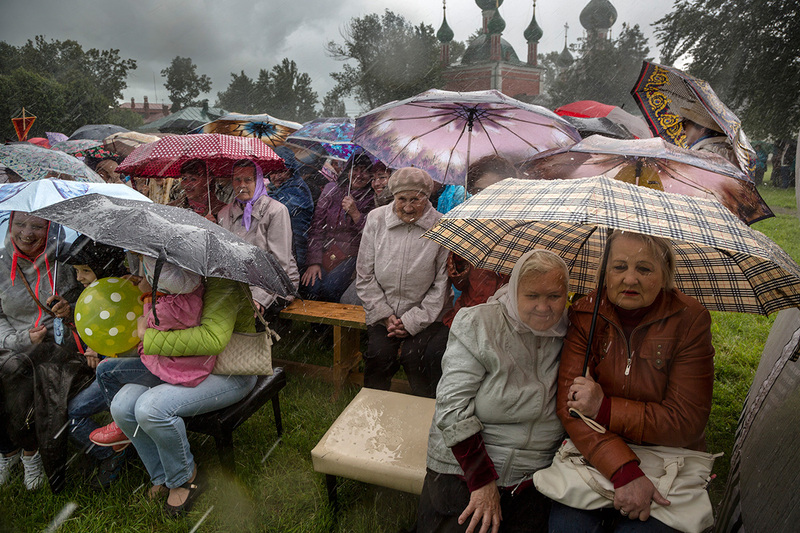 Tara, Omsk Oblast. The small town of Tara (pop. 30,000) lives life in the slow lane. Locals wait for something to happen, but nothing ever does. 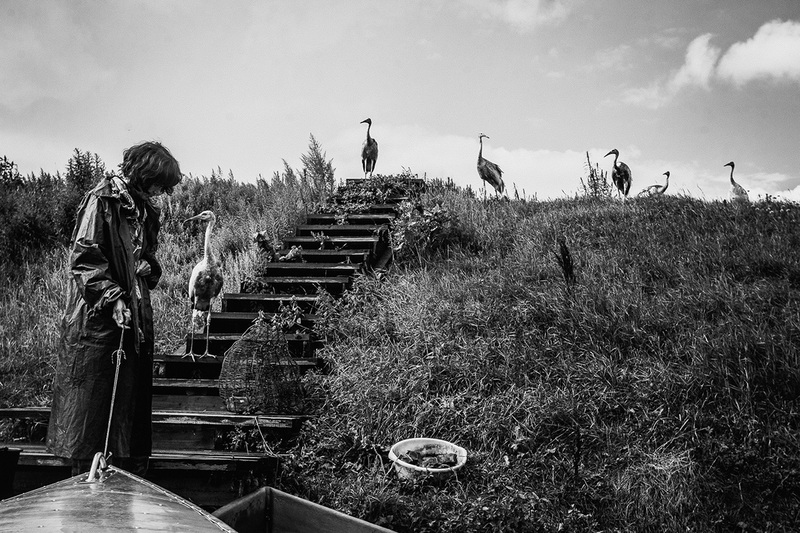 According to the photographer Alexey Malgavko, this is typical of many provincial residents. 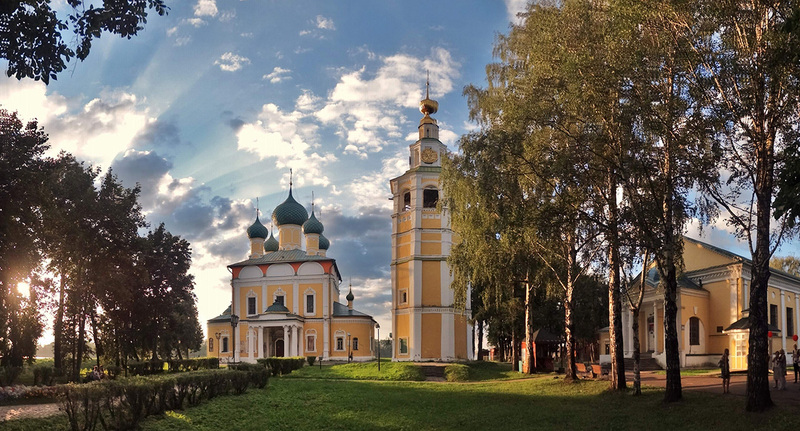 Holy Transfiguration Monastery, Murom, Vladimir Oblast. 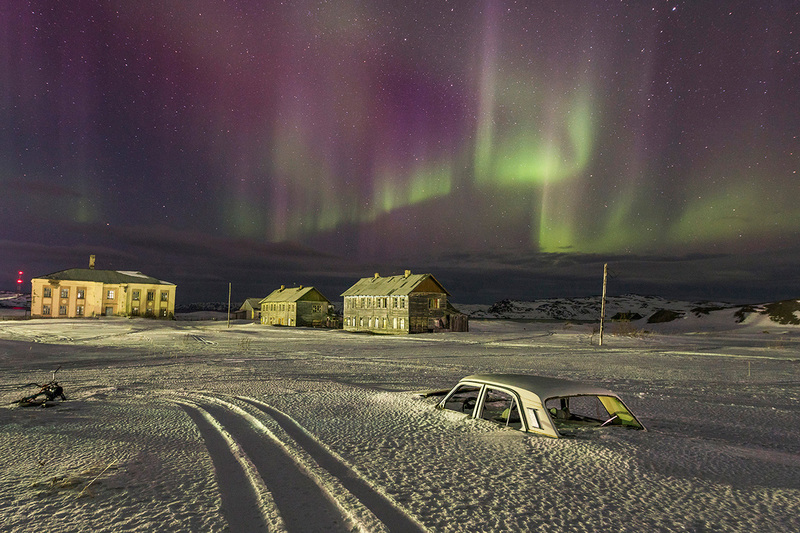 The Northern Lights in the village of Teriberka on the shore of the Barents Sea, northern Russia. 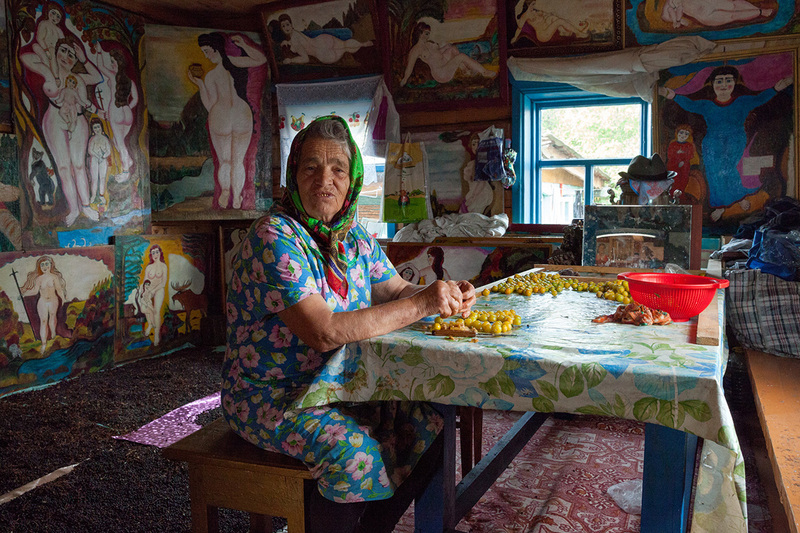 Life in the steppe on the border with Kazakhstan. 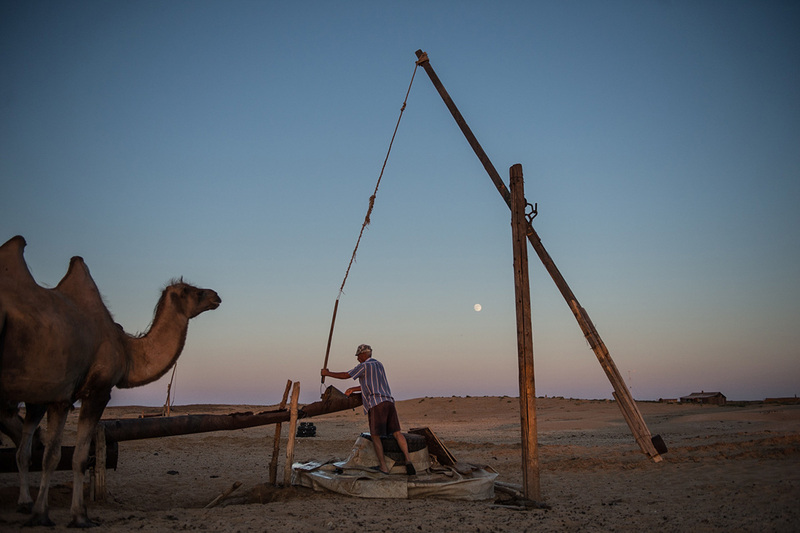 One family has lived here for more than 20 years, rearing camels alone in the steppe, 80 km from the nearest settlement.